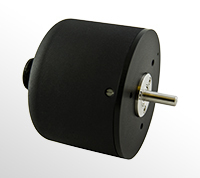 The Series 600 Angular Displacement Transducers use capacitive technology to sense the absolute angular movement of an object. For ease of use, all signal conditioning electronics for DC-in/DC-out operation are enclosed in the transducer housing. Accuracy as good as ±0.05% of full scale is standard on most of these transducers.